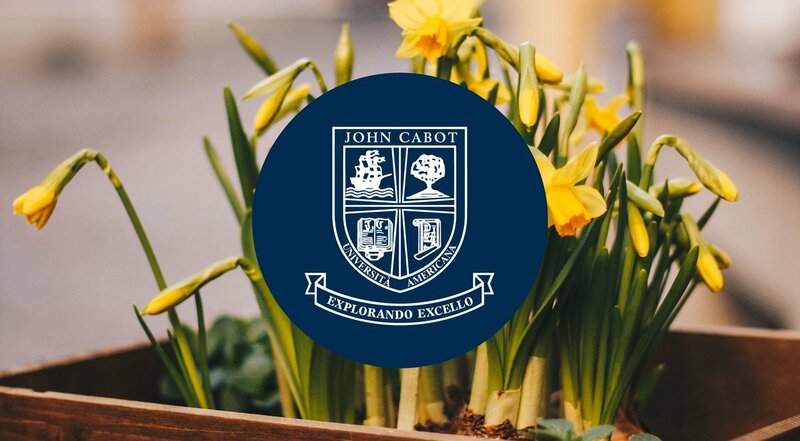 John Cabot University is pleased to announce the addition of a new scholarship, the JCU Dean's List Scholarship, to the current existing scholarship opportunities available to its students. John Cabot University music professor Aaron Carpene has just returned from the University of Texas, El Paso, where he enjoyed great success promoting the Opera Bhutan project, of which he is creator, leader and musical director. Career Fair 2012, which took place on April 20th, was a huge success. Twenty companies, including such well-known organizations such as IFAD, IDLO, US EMBASSY, E&Y, Alpitour and Leo Burnett, gave a presentation in a packed Aula Magna Regina. The JCU Theater Group charmed a packed Aula Magna Regina on April 18th with a rousing performance of "Welcome to Chicago." Directed by 2009 JCU alumna Giulia Argentieri, the musical is an adaptation of the 2002 film Chicago directed by Rob Marshall. One of the highlights of the 3rd Annual International Student Leadership Conference, hosted by the John Cabot University Student Government from Thursday April 12th to Sunday April 15th, was the keynote address by Hon. Francesco Rutelli, Senator of Italy. Lawrence Bartolomucci, who teaches economics at JCU, and Entrepreneurship Institute Director Silvia Pulino welcomed a group of over 30 Rotterdam University students, as well as several members of the JCU community for a topical and informative lecture on the costs and benefits associated with hosting the Olympic Games. In a public lecture held on March 28, 2012 Ms Elaine Panter, Director of Programs and Planning at The Protection Project, addressed the issue of preventing trafficking in persons and protecting victims in Jordan and Lebanon through public awareness programming engaging religious leaders and civil society. John Cabot University Lecturer in Communications Antonio Lopez has recently been published in two essay anthologies dealing with media education and alternatives to the current monetary system respectively. Dr. Robert Detrano, Director of the China California Health Watch, is offering John Cabot University students a unique opportunity to participate in summer healthcare internships in China. John Cabot University students enrolled in Professor Margaret Kneller's natural science classes were hosted at the International Fund for Agricultural Development's headquarters for a briefing session dedicated to understanding topics that will be on the Rio+20 Summit agenda.